Have a question on Levante? Levante is available in 13 different colors - Onyx Black, Champagne, Nero, Nero Ribelle, Blu Passione, Verde Ithaca, Bianco Alpi, Blu Emozione, Geigo, Geigo-maratea, Geigo Metallo, Rame and Rosso Rubino. 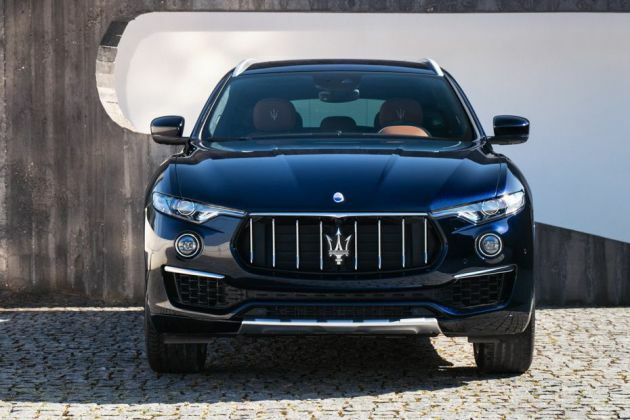 What is the price of Maserati Levante? On road prices of Maserati Levante in New Delhi starts from ₹ 1.49 Cr for base variant Diesel GranSport, while the top spec variant Diesel GranLusso costs at ₹ 1.54 Cr. What are the colors options available in Maserati Levante?